Today PTU announced the new exam date sheet for all exams IT, Management & Applied Technology, which were to be conducted in the month of March 2013 but court stays on them. 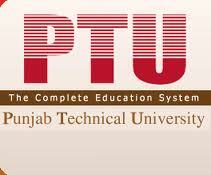 As per PTU latest date sheet all of the exams has been rescheduled for May 2013. We've taken a great care in providing the correct details although we highly recommend students to confirm the same with their respected study center or from the University. MBA Frog will not be responsible for any of mistake in exam schedule or loss occurred by the same. This PTU Exam date sheet is one of the most awaited date sheet & many students were in touch with us continuously for the same. The date sheet has been published today only by PTU. the same is also available on university official website . MBA Frog team wish all the PTU students all the best for exams & wish them a great future ahead. We want you get in touch with us by liking our facebook page.